NEWARK, Del. (WPVI) -- Police say a woman was struck by a stray bullet while asleep inside her Newark, Delaware, home. Family members have identified the victim as 38-year-old Christinia Carroway. It happened around 1:30 a.m. Sunday on the 100 block of Flamingo Drive. "Pow, pow, pow ... it shook the whole frame of the house," said Mark Carroway, victim's husband. Mark Carroway says his wife was lying on the floor when she was shot in the thigh. "It went right through the wall," said Mark Carroway. The barrage of bullets busted out car windows, and even went directly through homes. Police say it's unclear if there were multiple shooters, or who was the intended target. But this isn't the first tragedy for the family this year. 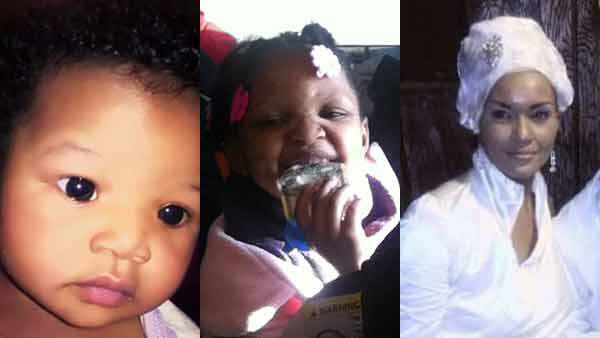 Action News has learned the names of the two young girls who were killed and of their mother who was critically injured in a Wilmington, Delaware fire. In January, a raging inferno destroyed their Wilmington home, killing their two young daughters. "Hear we thought that we were finally getting back on our feet, finally leaving memories, just with things with memories, but now it's like a relapse," said Mark Carroway. The Carroways weren't the only family hit. Multiple cars, and other homes were riddled with bullet holes. One woman, who didn't want to be identified, lives three homes down from the Carroways. "That's beyond scary cause you sleep. That could have been our home, look how close it is!" the woman said. But for the Carroways, this is reality. What Mark describes as a nightmare that's never-ending. "We just thought it was a safe environment, but to me it's just unexplainable and I can't believe it," said Mark Carroway. The victim was taken to Christiana Hospital. No word on her condition.